This is a pretty hanky suitable for a bridal wedding handkerchief. 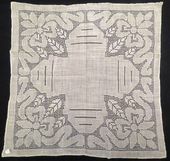 The vintage linen handkerchief has a lovely art deco pierced drawnwork design with rolled edges. 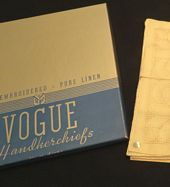 The vintage linen handkerchief is new but vintage and was removed from the box to take photos. Vintage Linen Handkerchief Measurement: 10" x 10 2/8"
This vintage handkerchief retains its label and would make wonderful gifts for the bride or bridal party. 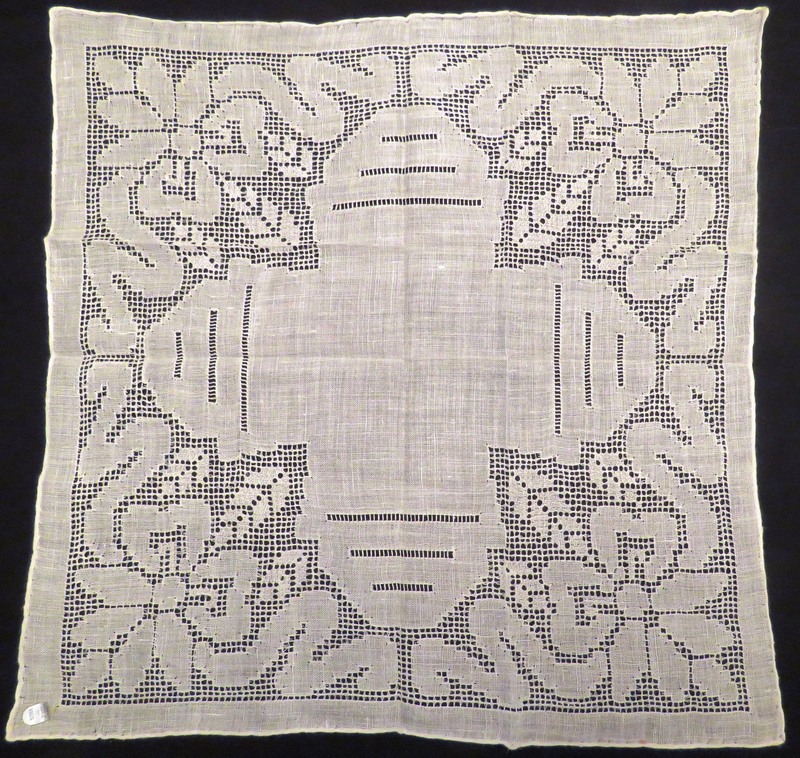 Vintage Linen Handkerchief Condition: Like new. Item does not include the box as there are multiple handkerchiefs for sale.